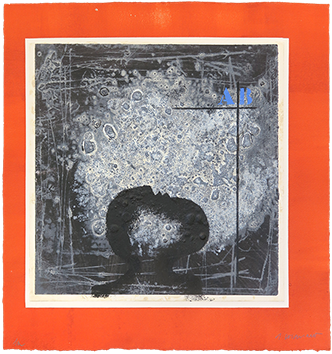 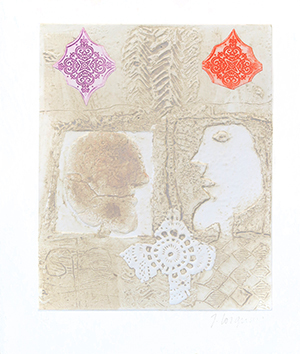 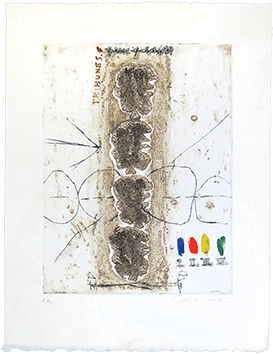 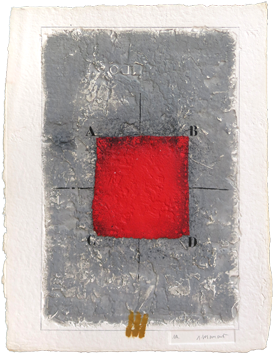 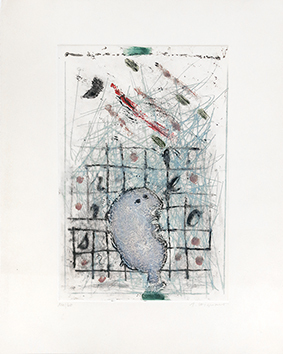 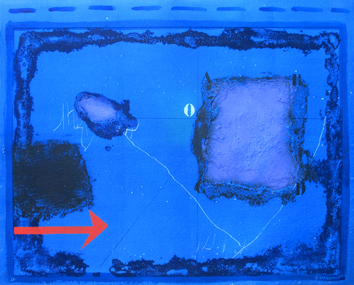 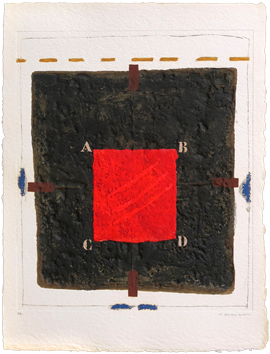 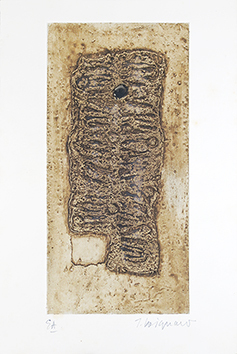 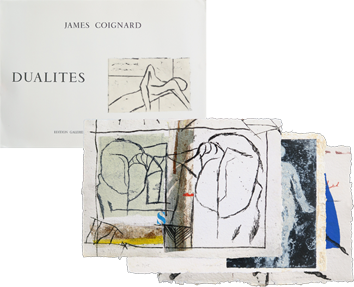 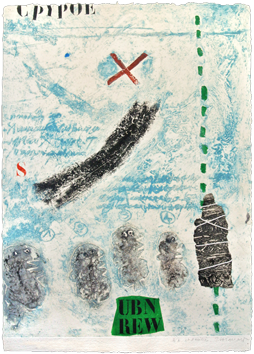 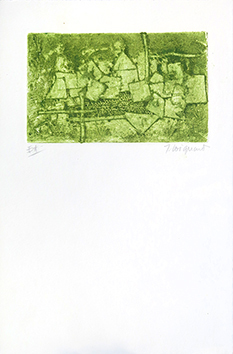 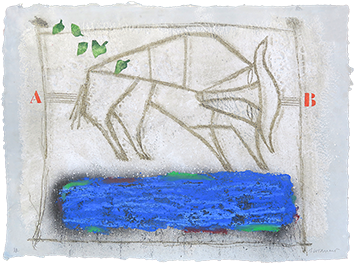 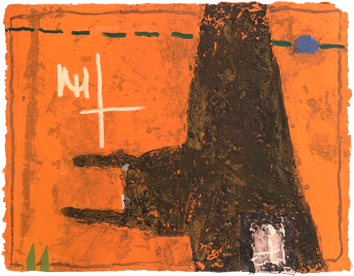 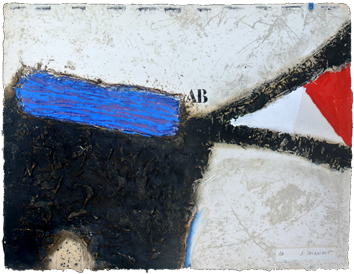 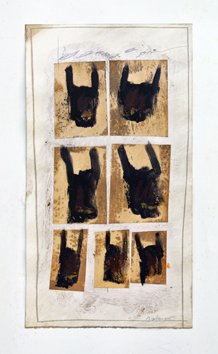 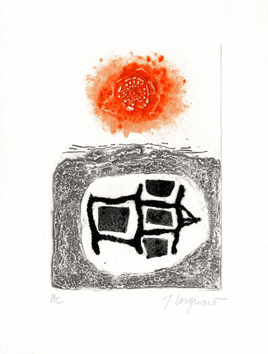 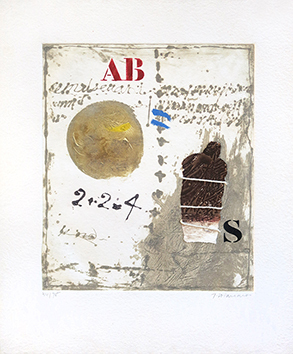 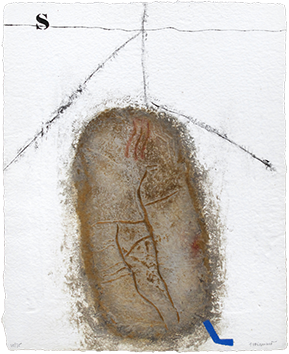 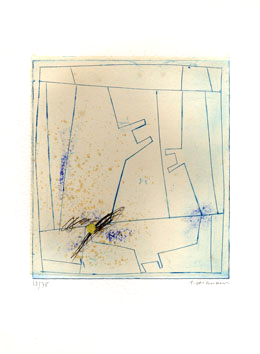 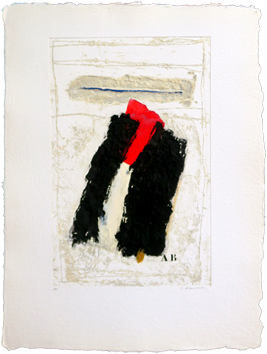 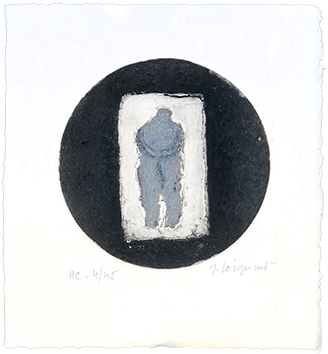 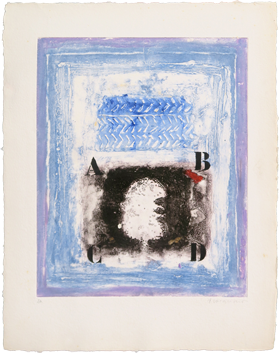 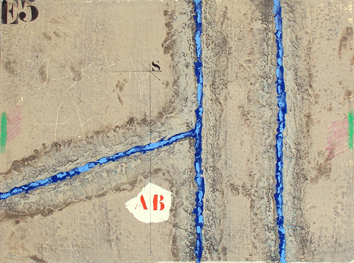 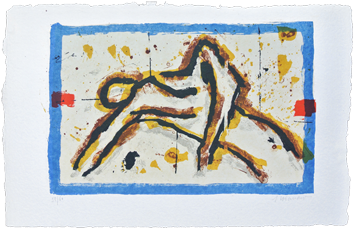 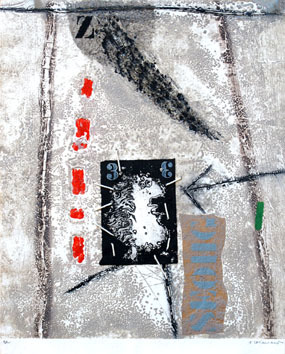 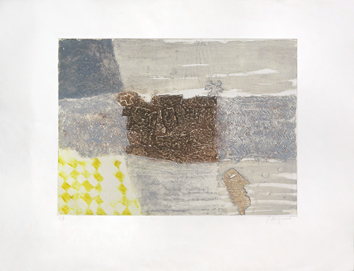 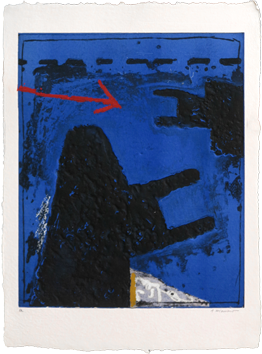 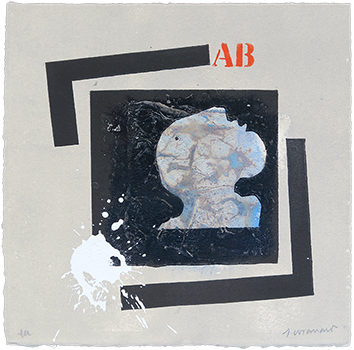 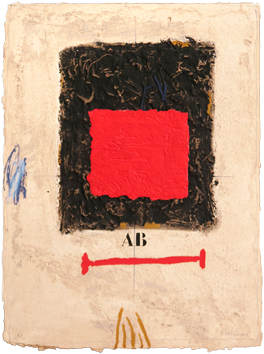 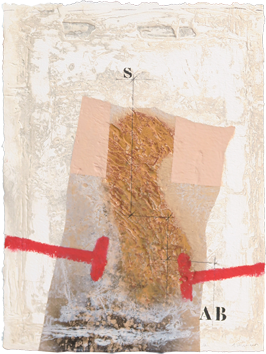 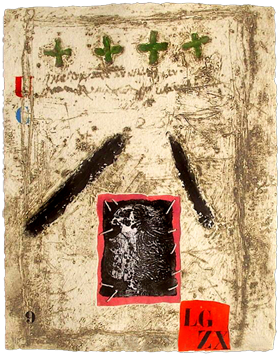 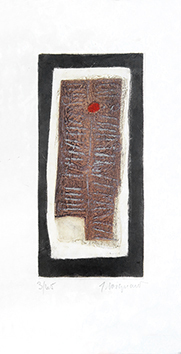 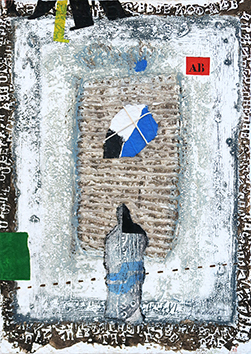 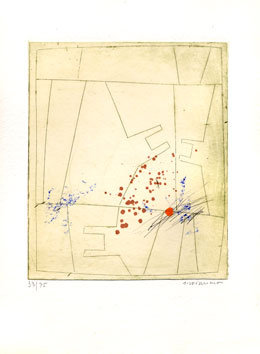 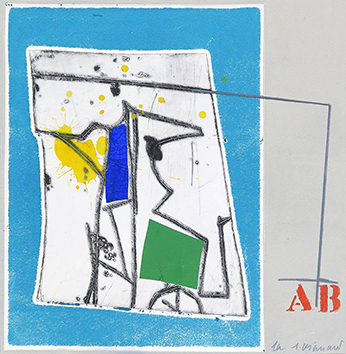 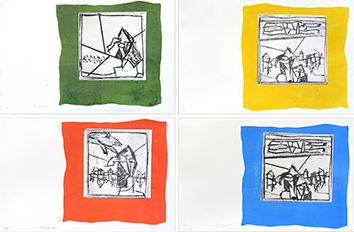 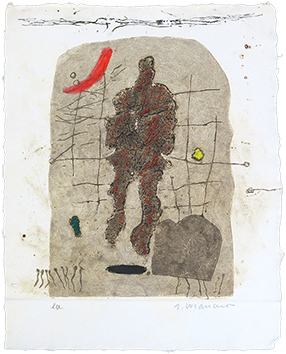 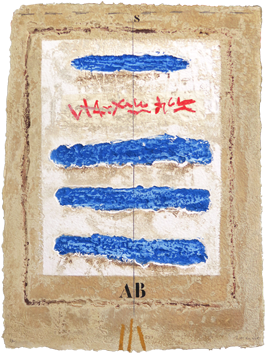 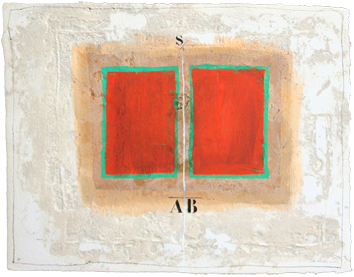 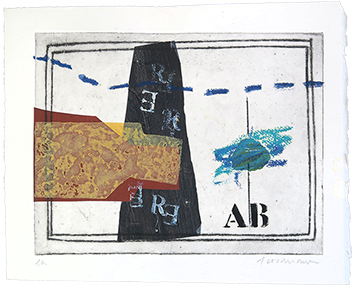 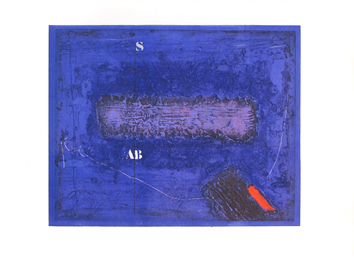 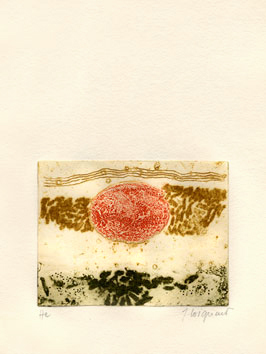 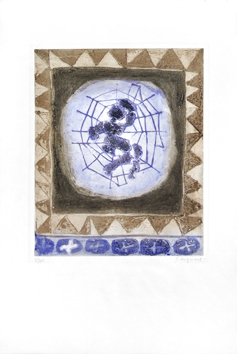 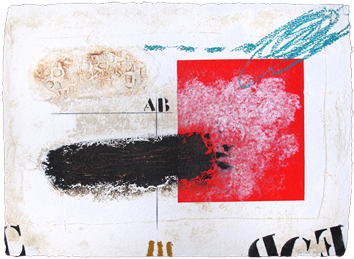 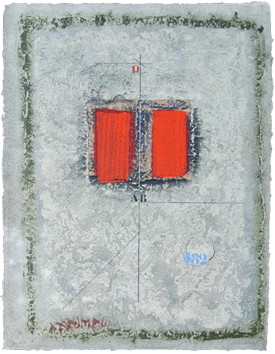 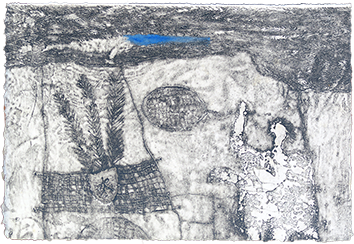 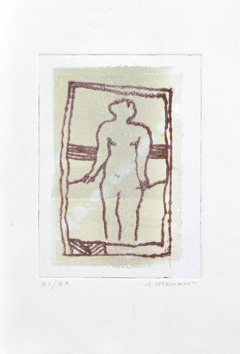 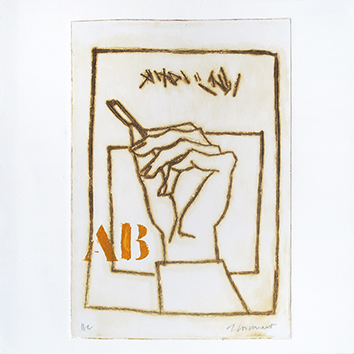 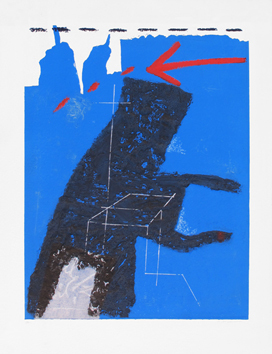 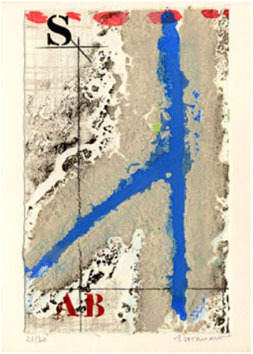 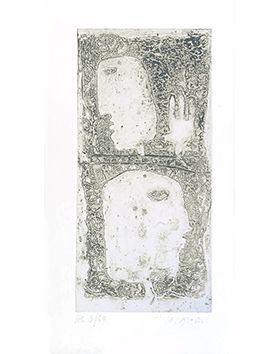 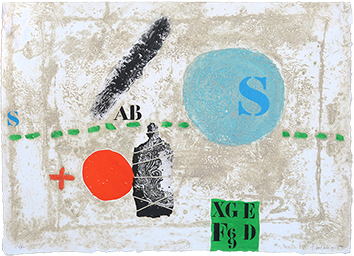 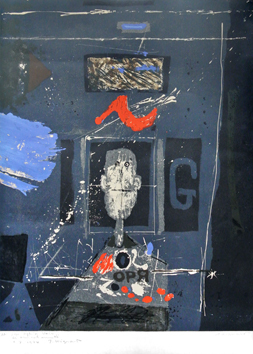 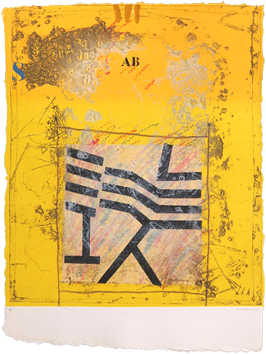 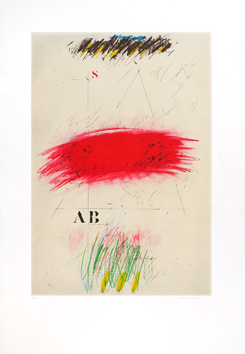 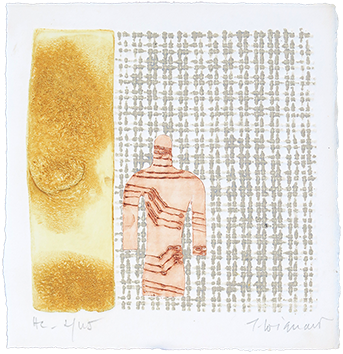 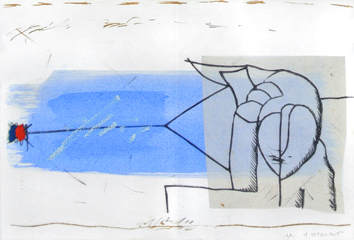 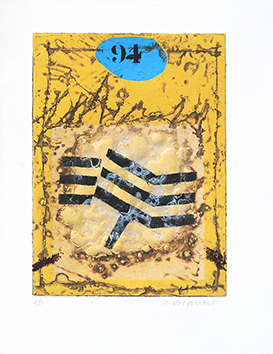 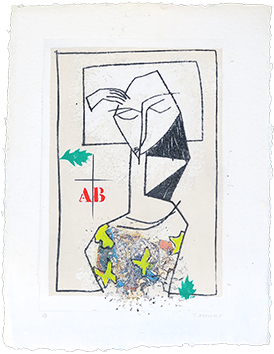 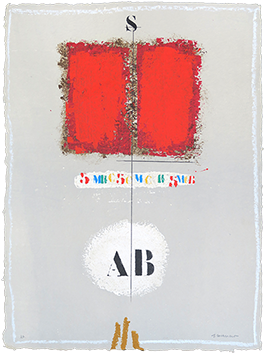 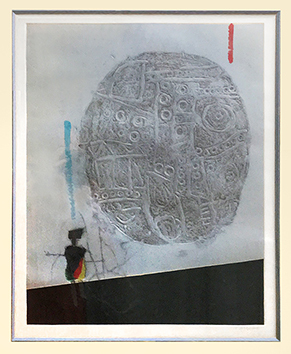 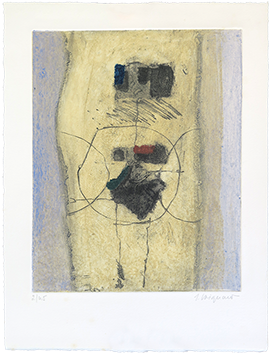 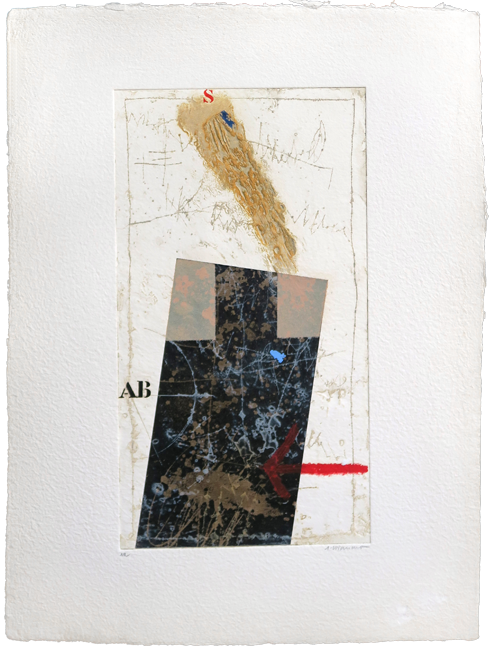 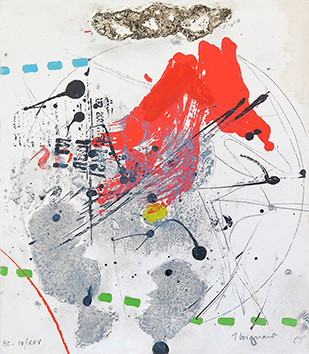 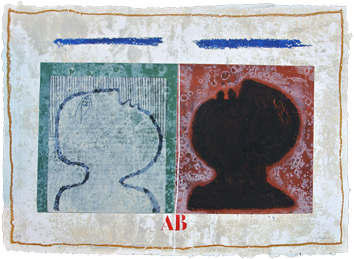 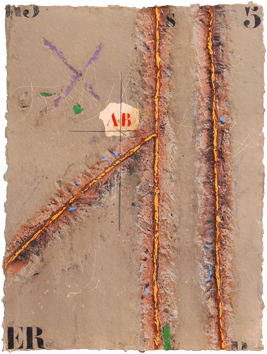 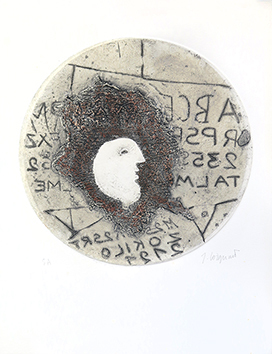 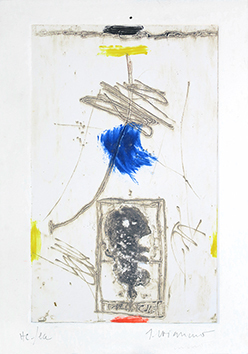 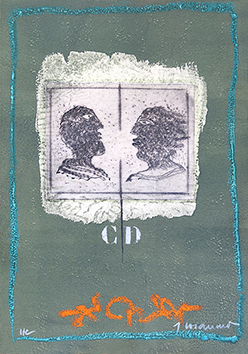 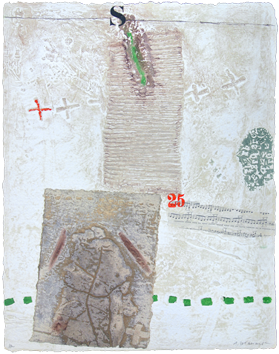 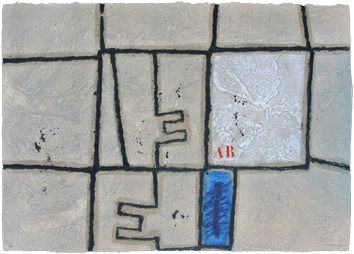 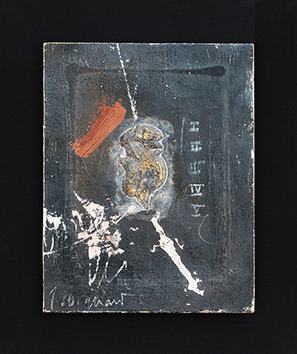 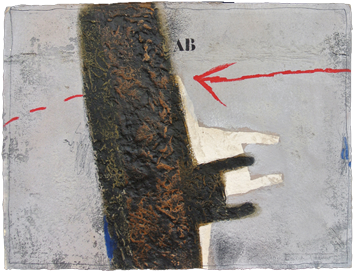 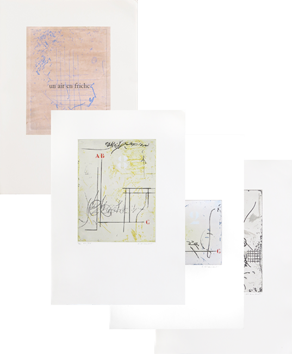 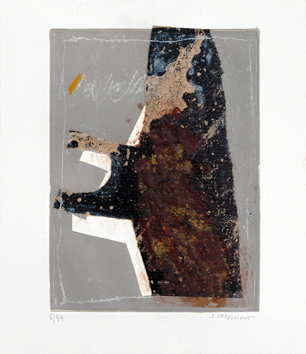 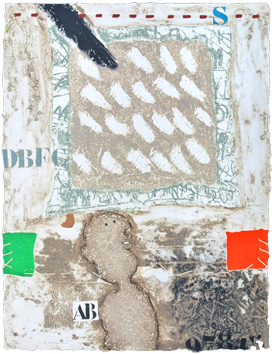 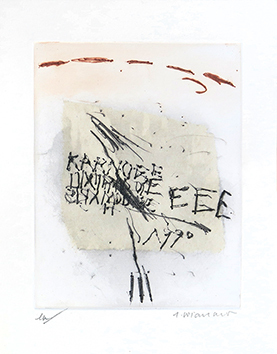 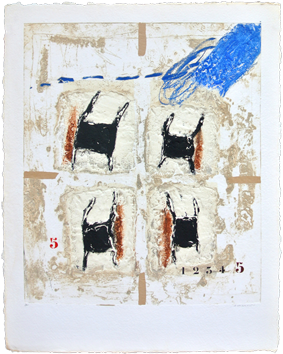 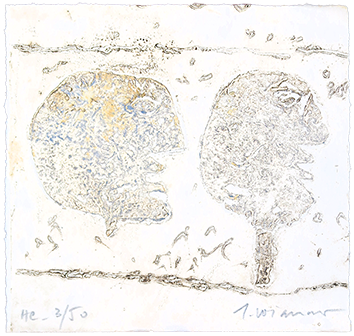 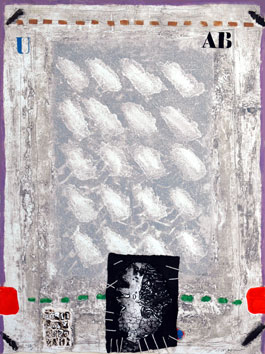 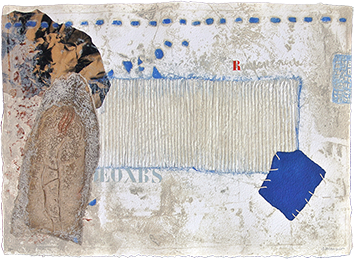 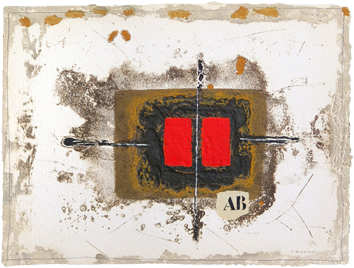 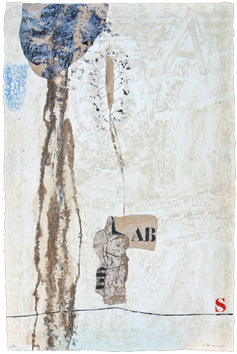 Original carborundum etching in 9 colours with manual interventions and a collage, signed in pencil by the artist. 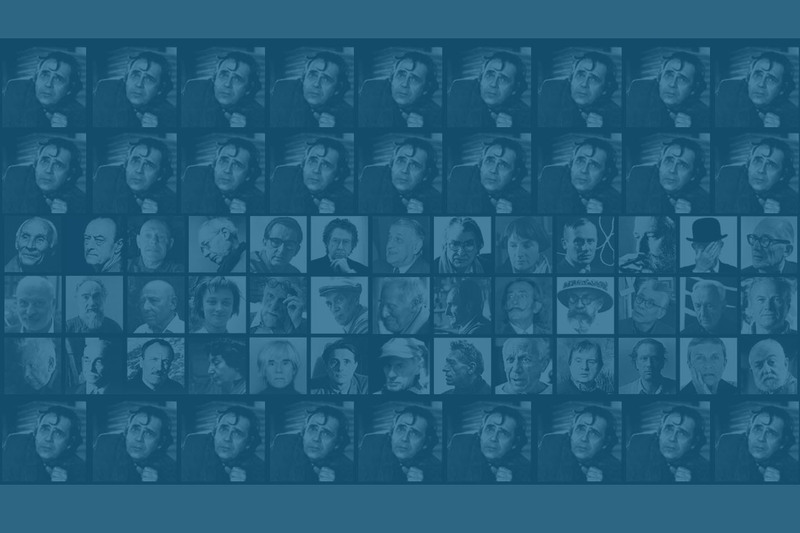 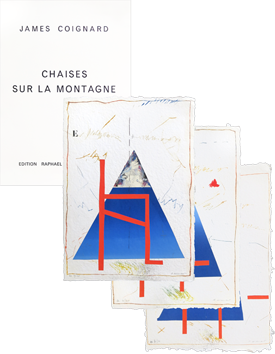 Edition : 76 signed proofs + 15 E.A. 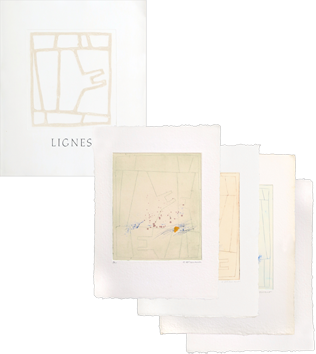 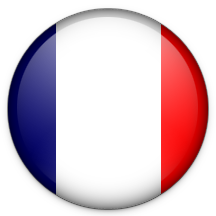 Condition : Edges of the margins slightly yellowed, otherwise very good state.